A resurgence is happening in the mining industry. Commodity prices are rebounding, capital expenditures are rising and project restarts are picking up pace. During this upswing, miners need to ask a critical question: Do they have the right talent retention and recruitment strategies to thrive during this period of improving market conditions? This exciting new growth period, coupled with technology enhancements in intelligent automation and multi-speed IT, is increasing the demand for talent and heightening the risk of supply shortages for many key skills. Not surprisingly, miners are losing bargaining power and employees are demanding market-premium salaries. The competition for talent will continue to intensify, not only from peer companies, but also from other asset-intensive industries such as construction, oil and gas (extraction), and manufacturing. Globally, there will be employment growth for these competing industries from 2018 to 2022, with a resulting increase in wage rates1—signaling the start of a tight labor market (Figure 1). 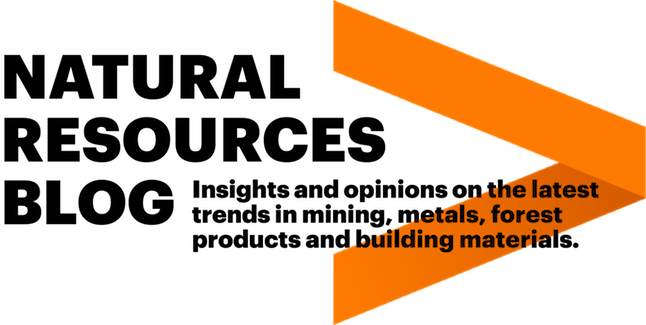 In Australia, for instance, Accenture analysis2 shows expected employment growth from 2017 to 2022 of 2.1 percent in the construction sector and 1.3 percent in transportation and warehousing, both of which will impact talent supply dynamics for the mining sector (Figure 2). Of course, the growth outlook is not always so rosy in mining. The cyclical nature of the industry means that there is frequently a gap between supply and demand for talent. Without an agile staffing management strategy, mining companies will continue to face significant workforce challenges, including the loss of senior and experienced personnel during a downturn, as well as the need to quickly mentor and train younger talent during the next upturn. This talent shortage is especially apparent right now. Even though there are increasing numbers of millennials graduating with mining-specific skills,3 the opportunities in the industry for these new graduates are scarce, which is forcing them to seek employment in other sectors. As miners reinvent themselves through digital technology adoption, they must actively look to attract the workforce of the future—professionals such as data scientists, AI specialists, machine learning engineers and others who can leverage big data and other technological advances. Some of these employees will come from the millennial generation; others will be experienced hires. These scarce skills will come at a premium that miners must be willing to pay, especially when core mining technical skills are expected to rise due to volume growth. Accenture analysis4 shows that the supply of autonomy technicians in Australia, for instance, is expected to decrease by 26 percent between 2017 and 2025. Other occupations that are expected to experience a supply squeeze over the same period include engineers (-15 percent), geologist/hydrogeologists (-9 percent) and remote operations operators (-5 percent), among others (Figure 3). Digital disruption is also changing the skills that mining companies will need going forward. For example, they will require fewer truck drivers and more autonomous vehicle technicians in the future. Understanding and predicting the shifting capability and skill requirements is imperative, along with building and implementing the right talent strategies. Embark on a recruitment drive: Reach potential recruits at an early age, even at high school or younger. Change perceptions about the industry and draw millennials into future mining careers. Engage through social media: Simply having a presence on social media isn’t enough. Millennial conversations constantly evolve across old and new social media apps. Miners must rethink their social media strategy and use the channel to actively participate in conversation topics that matter to a younger generation. Collaborate with technology start-ups: Start-ups are a hotbed for millennials turning innovative ideas into commercial realities quickly and effectively. Tap into this energy and creativity through hackathons. Start high-impact mentoring programs: Encourage more experienced employees to train junior members of the workforce and pass on knowledge and skills through mentoring programs. Make the industry more appealing by offering innovative, collaborative and creative opportunities. Upskill the existing workforce: Identify talent who can be redeployed to new roles with some additional training and development. Provide employee development programs: Offer long-term development programs for talent with critical skills and high potential. Use AR/VR to enable experienced employees to provide “over the shoulder” coaching of new hires or provide their highly desired skillsets to multiple locations without having to travel. Embrace a liquid workforce/gig economy: Offer programs to promote flexible work arrangements, phased retirement and job sharing. Leverage an adaptive workforce, such as consultants and contractors, with a deep level of expertise within a specific discipline. Consider how the organization will change in the next five to 15 years and look for more flexible ways to get work done—by buying, building and borrowing skills. Broaden the ecosystem: Create talent pools for hard-to-find capabilities. Develop relationships with key universities, associations and apprentice programs to source talent earlier. Work with vendors to maintain long-term working relationship to reduce turnover, onboarding and orientation efforts. Plan for humans and machines working together: Although AI and automation will phase out some work, the need for talent, especially technologically-skilled talent, will far outweigh attrition. In addition, these technologies will introduce entirely new ways of working and new job categories in which humans work side-by-side-with robots to accomplish more. Now, more than ever, mining companies need to look at their future talent needs and establish workforce and technology strategies to ensure they have a robust, appropriately skilled supply of employees. Both in the near term and in the coming decades, this will be essential to achieve their desired business outcomes and maintain a competitive edge. 1 Accenture Research analysis of Oxford Economics data. 2 Accenture Research analysis of Australian job sites. 3 Murray, Mary. “Mining industry talent forecast,” Mining Engineering, July 1, 2016: D1. Factiva, Inc. All Rights Reserved. 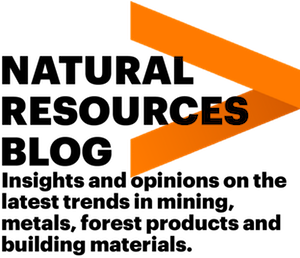 4 Accenture Research analysis of Australian job sites.